The clocks have been turned back, marking the official start of the "2015 wedding booking " season. Newly engaged couples will scour the wedding blogs and clean out magazine shelves of all things "bridal" with one common goal, To Find The Perfect Wedding Venue. 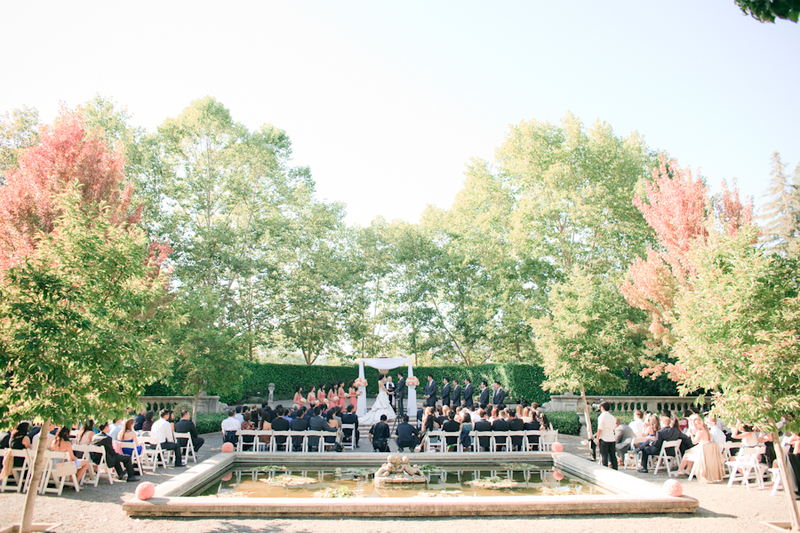 Is a playful outdoor Napa Valley celebration your passion? Or possibly a black tie gala at one of San Francisco elite historic buildings. Regardless of your theme or color palette, selecting your wedding venue is the first and most crucial steps you will take towards planning The Big Day. Will I need a budget for rentals? Can I have a specialty cocktail? Which color palette should I choose? Should I hire a DJ or a Band? - all of these seemingly unrelated questions are largely defined by the venue you choose. There are basically two different types of wedding venues: full service and stand alone. Full service facilities such as hotels, resorts and country clubs tend to offer everything from table and chair rentals to linens and catering services, while the stand alone facilities tend to offer just the space and it falls on you or your planner to find all the necessary equipment and vendors to facilitate your celebration. Pricing for these various facilities is all over the board- but it is important that you are comparing "costs" vs. the price of the room. Make sure you have factored in any additional rentals, labor or other miscellaneous costs associated with hosting an event in that space. Don't be mislead by venues stated maximum capacity, they can be confusing. Ask the right questions, don't assume the "maximum" head count stated is specific to your wedding. The reception room is where all the action happens. Instead of asking "How many guests can I accommodate?" inquire about how many tables will fit comfortably in the space and does this number make allowances for a dance floor, entertainment and various wedding stations. If you are planning an on site wedding ceremony, make sure the venue has adequate space to seat all of your guests for a formal ceremony and a separate local for the cocktail reception and dinner. If you fall in love with a venue that can't accommodate this and you are using the same space for everything, the room needs to be "flipped"--meaning the ceremony will need to be switched to the reception site, while you and your guests are at your cocktail hour. Get all the details about this process, clarify how this "flip" happens, who is responsible for moving all furniture and equipment out and resetting the room. Also, don't forget to find out where the guests go as the room gets transformed and always discuss any additional charges that can be anticipated because of the flip. Rain check- there are so many amazing outdoor locations to choose from in the Bay Area and we do have some of the best weather; however every planner will tell you- make sure the venue you are considering has adequate indoor space available for any and all activities that you had planned to have "al fresco", if a "Tent" is the back up plan for bad weather, make sure you know how long in advance you need to make that decision, and what the costs may be associated. As you begin to "dial for dollars" and make those appointments, keep these tips in mind! If you have any additional questions- don't hesitate fire away - we are happy to share! Happy Hunting!